After overwhelming agent demand, we're bringing back the Oasis Digital Expo! Get everything you need to confidently and successfully sell these resorts going into the 2019 season, all in one convenient place. 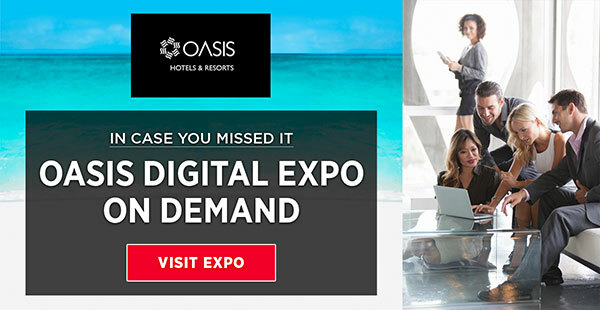 This online expo provides an easy and comprehensive platform for agents to gain an in-depth understanding of everything new at Oasis Hotels & Resorts. Oasis is constantly evolving to provide the most complete all-inclusive experiences in Cancun and Tulum. Ensure you have the newest and most comprehensive product knowledge, including all special programs, unique offerings and key selling points. Discover ways to improve your earnings, download marketing materials and selling tools, chat with the Oasis team, and more.